I was one of twelve students in North America that was accepted to attend the Summer Program in Archaeology at the American Academy in Rome in the summer 2010. The purpose of the program is to give graduate students in all areas of Classical studies an overview of current developments in archeological method and theory, focusing on ancient Italy and the ancient Mediterranean world. The seven-week course taught the objectives and methods of archaeology through instruction and hands-on experience in active archaeological research. The program consisted of three weeks in residence at the American Academy in Rome for lectures and the opportunity to study the monuments and sources offered by Rome itself. 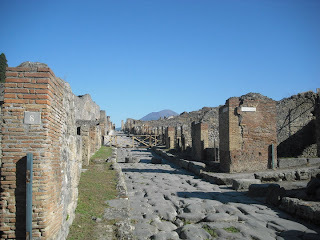 The remaining four weeks were spent excavating in ancient Pompeii with the University of Cincinnati.